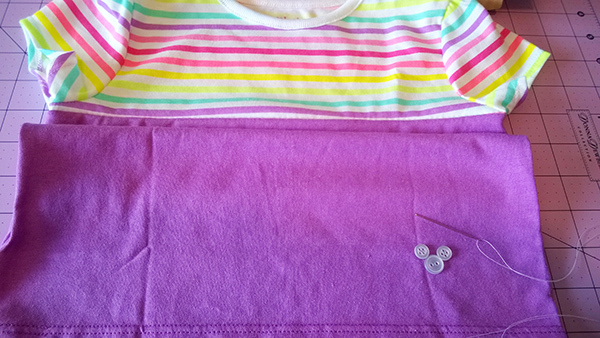 Home » All Things Disney » How to Make an Amazing Hidden Mickey Shirt – with VIDEO! How to Make an Amazing Hidden Mickey Shirt – with VIDEO! 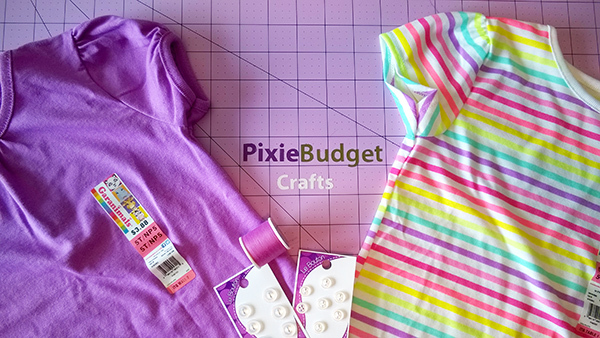 Today I’m sharing my second how-to video on how to make an amazing hidden Mickey shirt! This craft is super low cost too! Perfect for that next vacation to Disney World or Disneyland! 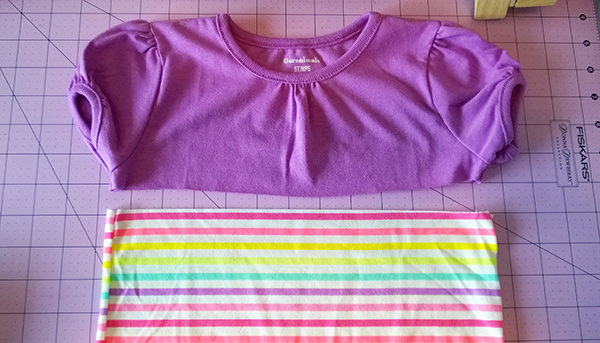 Start by cutting each shirt right under the sleeves. Be careful not to cut into the sleeve itself. 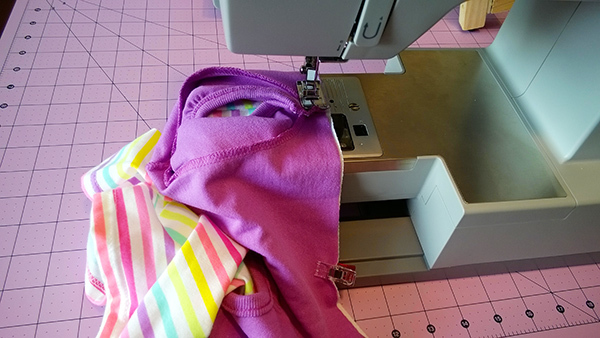 Setup your sewing machine with matching thread. 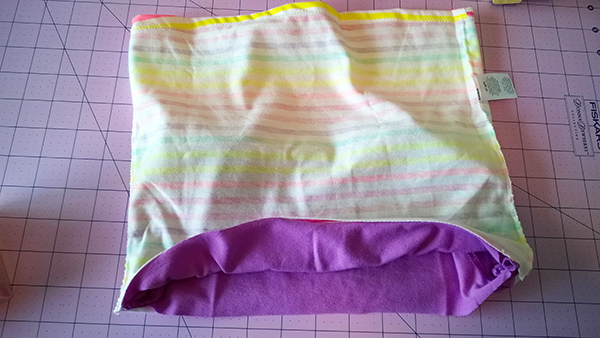 I used a basic zigzag stitch, though you could certainly overlock it if you have that capability. Make sure you are using a ball-point needle that works with jersey fabric. Turn inside out, and arrange the buttons to create a hidden Mickey. You’ll need to hand-sew these into place. Done! A really quick and super low cost craft! 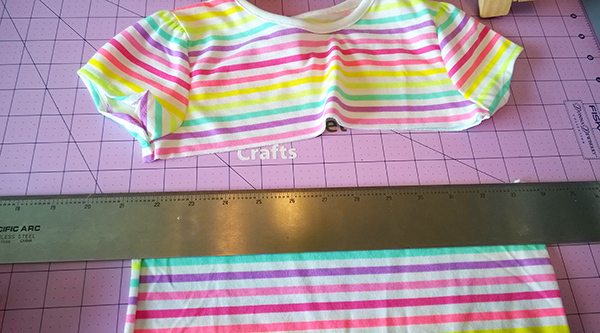 The striped shirt was actually a bit crooked when it was originally sewn together at the factory. I didn’t notice this until after I purchased it. 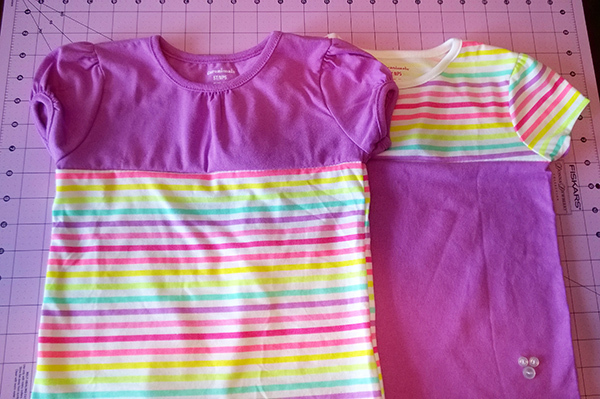 I’m still a beginner, and the my sewing compounded the crookedness of the stripes. My advice is to inspect the shirts before purchasing, or use a print that’s a bit more forgiving. 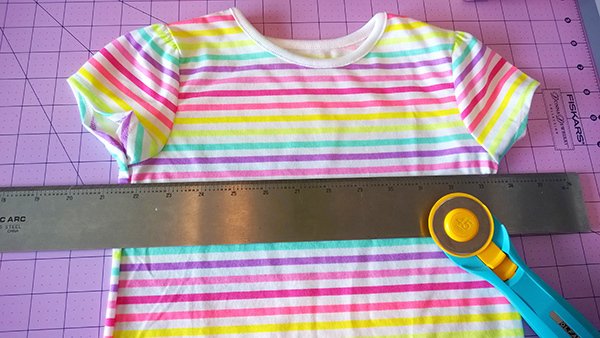 You may also want to choose t-shirts that are a size larger than you or your child would normally wear, as you will loose a bit of the length in the sewing process. What do you think? Will you be making one of these shirts? I’d love to see pictures!